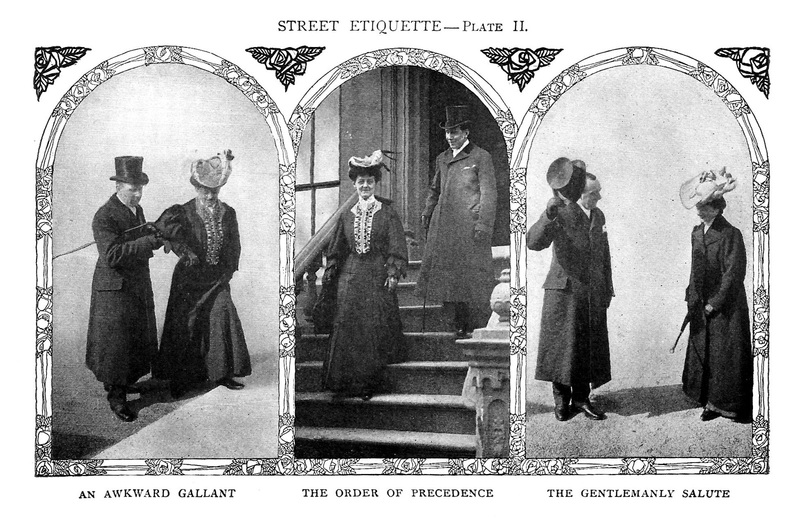 This is a vintage photo showing street etiquette of 1906, during the Edwardian Era. 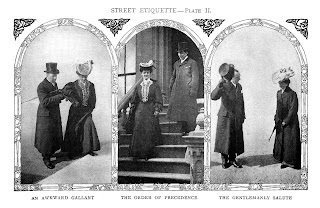 I love the fashion of that era, as well as the strict charm of social etiquette. I've posted a similar vintage photo from the same book here. I hope you enjoy!